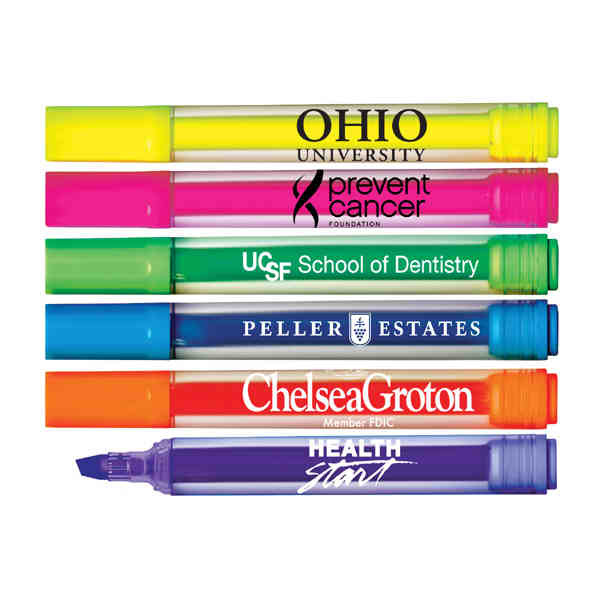 Imprint Method: Direct Imprint - Brite Spots® Clear barrel jumbo highlighter with fluorescent ink. Non-toxic. Made in USA by Union Shop. Yellow, pink, blue, orange, lavender and green ink with clear barrels. Caps match ink color.